Izabal Agro-Forest recently had the privilege of hosting Bob Taylor and an impressive group of influencers in the wood business, in Guatemala. Their visit was part of a world forestry tour that Bob Taylor has been planning for some time now, the main objective is/was to learn. The group is planting trees in Cameroon, Hawaii, and Washington, and they wanted to see examples of forward-thinking forestry operations, in the hopes to exchange ideas and meet people with similiar visions of what the tonewood & forestry sector will look like in the future. If you would like information about Izabal Agro-Forest’s sustainable investments please contact us here. One of the things we strive for in our plantations is to retain, and hopefully increase, the biodiversity that may have been lost from the original razing of the forest. Most plantations in Central America are/have been established on pastureland; that is land that was deforested for the establishment of cattle pasture. Usually the process goes something like this; loggers extract precious hardwoods, opening extraction roads, campesinos (or small farmers) move in and some small-scale cultivation takes place. These small parcels are sold legally or Illegally to larger land owners that see no value in the forest, and raze it and its biodiversity for pastureland. In the tropics it’s almost universal that the economics of cattle operations fail and eventually these sell to large agro-industrial operations (Teak, Pine, Palm, Sugar cane, etc). By this time these soils are severely degraded. Responsible land-use is something that we’re passionate about. In the end it’s about respecting the land’s potential as a refuge and as a provider, equally. We fully recognize that a plantation of any type, even with an emphasis towards biodiversity will never fully replace the flora and fauna of a natural forest, but we do hope to greatly increase the figures (10x+) when compared to standard plantations. All images below were taken on or near IAF plantations. Jobs: Prunes, grafts, and takes care of the cacao. Opinion on Izabal Agroforest: Close to Seja, makes it easy to get to work. It’s a large farm with many different trees and there is always work available. Opinion on Izabal Agroforest: A beautiful farm with a large variety of species in both flora and fauna. Future Plans: He says he’s hoping for good luck in the future, so he can provide a nice life for himself. Opinion on Izabal Agroforest: He says they different plants here, and lots of different types of work to do. Future Plans: His plans for the future are to keep working and save money so he can have a good life ahead of him. Pending are: Juan Castillo, Victor Castillo, Javier Sosa, Marta Estrada, Juan Tiul, Luis Chacon y Rigo Chacon. Thank you to Jasper Lyons & Jack Betz for photographing and interviewing IAF staff members. The final warning bell has been rung by a UN Climate Change report. The ongoing destruction of the remaining tropical rain forests and the advance of the pine beetle into the extreme north has contributed to 1/5th of the carbon being delivered into our precious atmosphere, much more than all the motorized vehicles, ships and factories on the planet. Agriculture is the main polluter and negative factor in this equation. Here in Guatemala, just to mention an example, at certain times of the year, the burning of the cane fields on the Pacific coast, is enough to darken the sky and cause an ash fall of choking dimensions in nearby communities. The question is why has forestry not been able to play a more important and sustainable role in mitigating climate change? One obvious reply is that the global public is kept in the dark by a disinterested media, passive educators and politicians looking only as far as the next vote. But then what about reforestation companies and the forest investment companies? Why are they not playing a greater role in the sequestration of carbon and so the salvation of our planet as we know it. Again the answer is painful: enormous areas covered by mono-cultures of short term tree crops for mainly pulp or biomass using species (e.g. Pine,Eucaliptus or Melina) that are most often foreign to the tropics with negative effects on the soil. Sustainable agroforestry is one answer. India has just passed more progressive legislation that removes many of the bureaucratic restrictions on the planting and use of new forests by farmers,that is expected to increase the forest cover there by millions of hectares. Both investors, forestry companies and governments need to pay more attention to native forest species for lumber and food while considering the infinite possibilities of sub-canopy planting. In addition, especially Universities should be playing an important role in environmentally correct reforestation and habitat recovery, but sadly most often their endowment funds invest in mono-cultures and doubtful short term returns, while their scientists preach another story. It is a dysfunction that every responsible citizen and especially foresters need to urgently correct before we are obligated to send a flotilla of arks to Bangladesh, a country that lies almost entirely at sea level. I started playing the guitar when I was 14 years old. 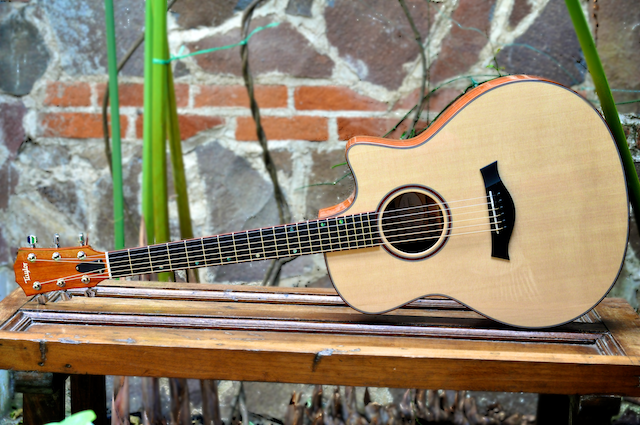 When my Dad bought me my first classical guitar, a Yamaha G-230 (that I still have!) from black market guitars in San Francisco I was thrilled. 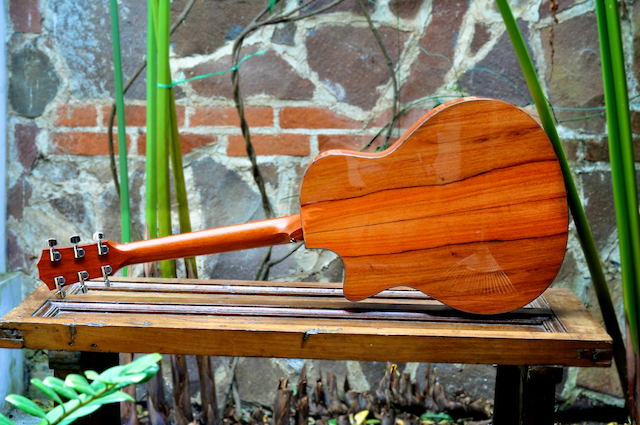 I remember looking at the mahogany back, wondering about the workmanship and incredible quality of the wood. 21 years later I commissioned my first custom-made guitar. The idea, from the beginning was to use woods grown on our farm, initially I thought we would use some of our plantation Mahogany or Rosewood, but my Dad suggested we do something more experimental. “Why not Hormigo?” he said. Hormigo, Platymiscium dimorphandrum, is a rich gold and brown tropical hardwood, what was intriguing about his idea however is that in Guatemala it is considered the finest tonewood for marimbas. Naturally then, we thought it would make a good guitar. 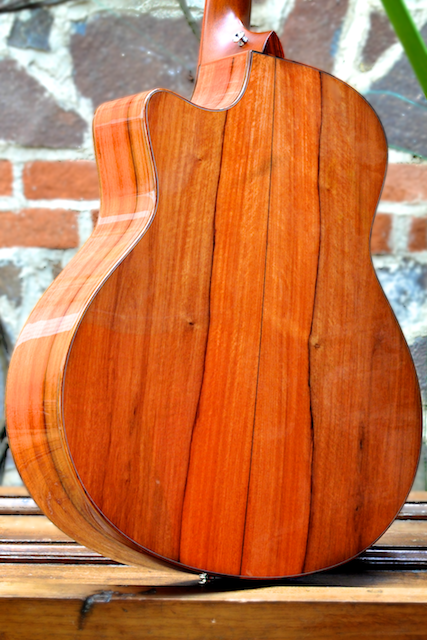 With the decision made, we had a piece cut with our Hudson bandsaw, and sent it over to my friend Chris Cosgrove, wood buyer for Taylor guitars in California. I gave them the specifications and a few weeks later we received this beauty in the mail. 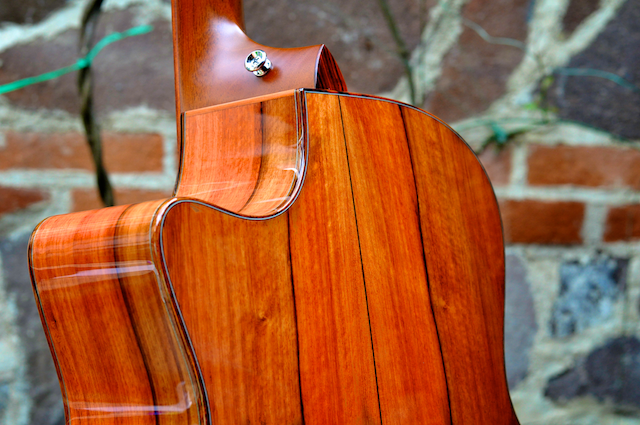 The tone is beautiful and rich, and I’ll let the images speak to the quality of the finish. 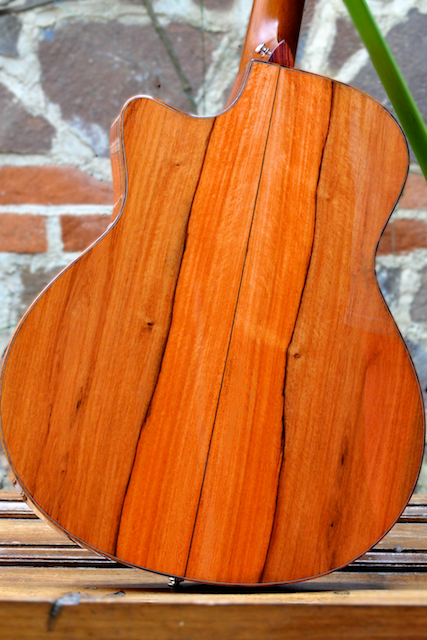 Using the sapwood adds to the natural beauty of the Hormigo grain. Thank you to all the good folks over at Taylor guitars. I recently attended an latin-american expo-conference for the mining industry and its providers. I was there because one of the company’s I am consulting with has been contracted by an important nickel and gold mining company to manage a few of its environmental restoration projects; Most countries have laws that stipulate environmental mitigation for damage caused by mining operations. The quality of compensation varies wildly of course and is too often conducted so as to reach the minimum requirement and with little long-term environmental or social fore-sight. I took a taxi to the event and when I told the driver where I was going, he chuckled a bit and said verbatim “Oh you’re against the Indians”. Wow, what a sad perception the mining (& hydroelectric) industry has set for itself. 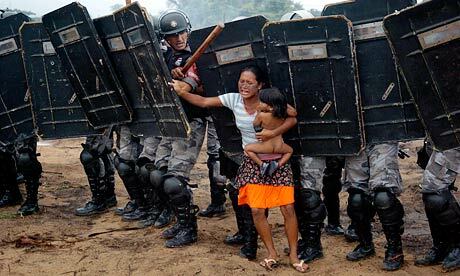 Not that I was surprised, by simply perusing the web for mining news, there always seems to be an indigenous resistance going on, particularly in the Americas. As someone with a lifelong affinity for the forest and the people that live in the forest, I am almost unequivocally opposed to mining operations that cross a certain threshold of environmental, and of course social, damage. However, I understand the need. I drive a car, I have a mobile phone, those minerals are useful and an essential part of my daily life. Socially responsible mining, with universally accepted standards, must become the norm. Since it is difficult to imagine an end to all mining activities I would like to see is a better mechanism for protecting mitigation forests. Simply plantings a few trees is not enough, there must be a critical discussion made about the cause of deforestation and what we can do to create real, perpetual, environmental compensation. The problem with reforestation is that if it is done in an area that was once deforested (which is normally the case), it tends to be threatened for the same reasons that it was originally deforested. In the tropics, reforested areas need value to be conserved, whether through tourism, carbon sequestration, or for timber, (yes timber); Planted conservation forests (with the exception of National Parks) need to managed and designed by both environmentalists and economists. My theory is that it is possible to manage and protect a forest through either low-impact harvesting or by allocating a small percentage of that forest to intensive commercial reforestation and logging. The revenue from either of these can be used to conserve and protect the greater forest, possibly through a foundation. Ideally, the forest could be even expanded through the acquisition of adjoining lands. Additionally a system like this could/would create a sustainable source of jobs and income for local communities. If the mining industry and other environmental offenders can create real mitigation programs that are perpetual and realistic perhaps they can reduce some of the stigma that they have been given. 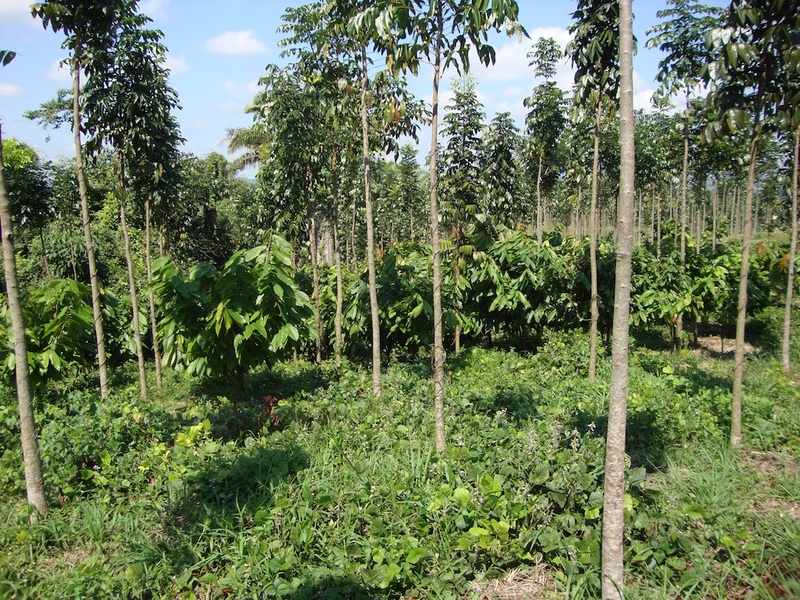 Over the years I’ve had many conversations about the benefits and so-called disadvantages of agro-forestry, and I’ve found that people with a forestry pedigree tend to be skeptical. The question always comes down to whether or not there is a financial or biological burden when double cropping land. It’s understandable, as a forester you probably want to prioritize tree silviculture, so the idea that you may have to adjust your method so that the other crop coexist in a healthy way is a no-go for some managers. To be clear, there are sacrifices. In a monoculture your management is 100% oriented around the success of one species, there are no other considerations. For example, you can plant your trees as intensively as possible, (1100+ trees per hectare), personnel can focus on one set of skills, and possibly there are other considerations. But of course I see this from a different perspective, first and foremost I see agro-forestry in terms of risk mitigation. Timber, agriculture, cacao, livestock, apples, papayas, they all have risks; the most common are disease, fire, natural disaster and market volatility, a farmers life is full of ups and downs. Trust me I know. But rarely do these risks affect crops in the same way, whereas fire may wipe out a forest floor crop like cacao, only a concentrated extremely intense fire could kill a hardwood tree. Similarly, diseases, common in fruits and vegetables rarely affect trees in the same way, particularly hardwoods. Market prices for any commodity will see good years and bad, but rarely across the whole spectrum. And unlike fruit crops, you don’t necessarily have to harvest your timber trees if there is a market lull, you can wait the bad prices out (and in the meantime they continue to grow!). It has been been said before, as long as the sun shines and rain falls, trees grow. The biggest disadvantage with timber investment is the long, (sometimes very long) wait it takes a tree to grow to a good, harvestable size. For tropical hardwoods the time-frame is usually estimated between 20 and 30 years, depending on the species of course. 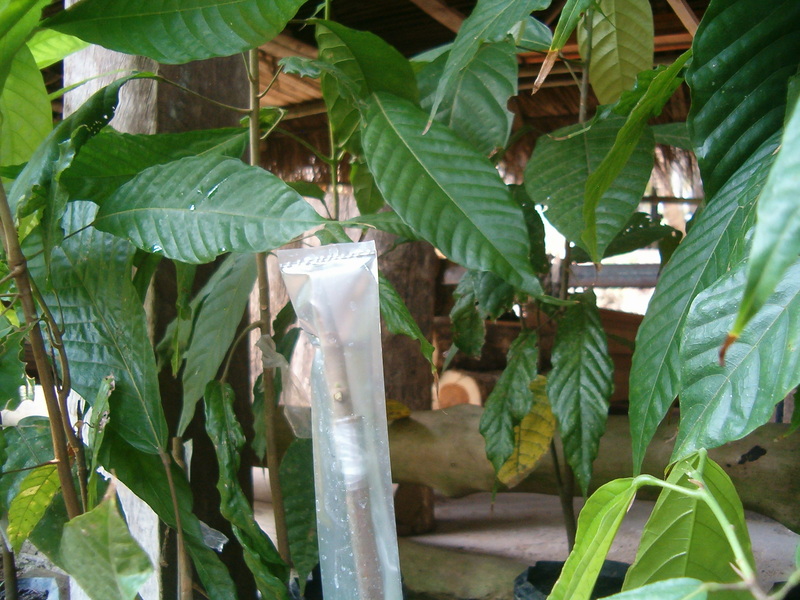 But therein also lies the beauty of the symbiotic relationship that a forest floor crop (like cacao or coffee) and a longterm tree crop: One provides you the cash-flow to continue operations and receive income, the other functions as the life-jacket that provides a low-risk and historically reliable investment. There are other factors as well of course: A poly-culture will look and function more like a natural forest than a standard monoculture. Agro-forestry is more likely to provide consistent, long-term, employment to community members, there are at least two streams of revenue and I should also mention that in a world where high-quality land capable of producing food is extremely limited, it’s just the right thing to do! Over the last few months I’ve heard a lot of hype about where the Cacao market is heading. Huge investments are being raised in response to rising demand. And its true the outlook is good, especially considering the growing premium market and untapped Asian markets that have barely begun consuming chocolate. 60% of the world is Asian so, there’s reason to be optimistic. But… I’m seeing a tendency toward the mistakes of the past. 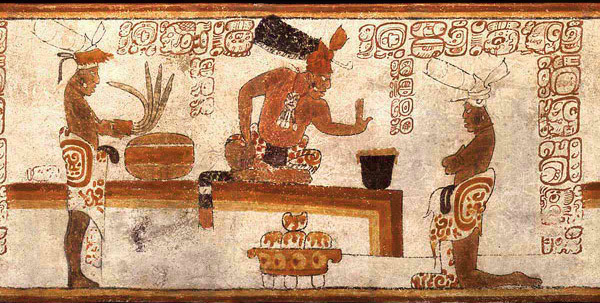 Although Cacao is originally from the Amazon basin, it was most famously consumed by the Mayans in Southern Mexico, and Central America. Today most of it is grown in Western Africa and consumed in the North America and Europe. These are huge mono-cultures stretching across thousands of kilometers. Countries like Ghana and Madagascar seem to be providing a steady supply of good quality fruit, but others have struggled and the cacao industry is rife with problems, political and biological. Once again we’re seeing this industrial tendency to do things as big and as cheap as possible, leveraging economies of scale to the bitter end. Broadly speaking, mono-cultures by their very nature are more susceptible to disease and insect attacks, which makes organic or low impact agriculture very very difficult. Throughout cacao’s industrial history, we’ve seen huge single year drops in production due to out of control diseases. They also tend to be one dimensional in that if you have a biological disaster or the market tanks, that’s it, your financial model breaks. Its one of the many reasons I’ve been a proponent of agroforestry for so long, I just can’t wait until we see it at an impact scale. I’ve seen proposals for industrial projects throughout Latin America and its really just a repeat of the past, basically the attitude is: let’s take the latest, hottest commodity and plant it to the end of the horizon. When I see these, I can’t help but wonder what kind of technical advice these proposals are based on? Why aren’t these proposals more diversified? What are the environmental and social impacts? 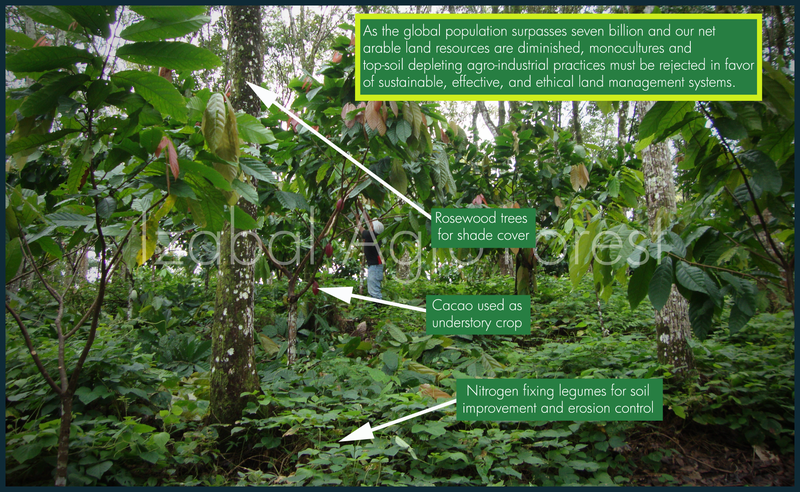 A productive cacao tree is sensitive, requires consistent phytosanitation and silviculture; basically it is generally susceptible to biological risk. In my opinion an industrial cacao plantation should not exceed 200 hectares and larger projects would do well to geographically separate farms. There’s a reason most of the world’s cacao is grown by small scale farmers, its never worked as an industrial crop. 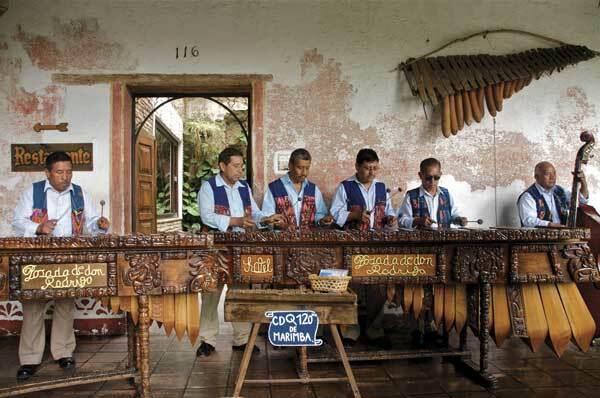 Cacao fund managers should carefully assess management teams and conduct thorough feasibility studies, or they might see an old story repeat itself. Don’t get me wrong, I think cacao is wonderful and has huge upside, I’m actually planting a lot of it, but there’s no doubt in my mind that the accepted (institutional) model can be improved.